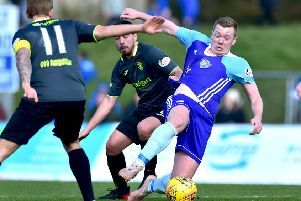 The Blue Toon let a one goal advantage slip to draw 1-1 at home to stragglers Albion Rovers on Saturday as Clyde beat Edinburgh City to move above them in to second spot four points off McInally’s side. 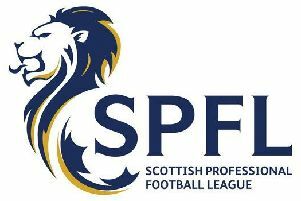 With just three games remaining (Elgin away, Stirling home, Queen’s Park away) the leaders have their fate very much in their own hands but McInally says they will need to deal with the pressure in order to become Champions. He said: “There is no doubt there is pressure. “That is what happens in football and when you get to this stage of the season, you have got to stand up and be counted. Jack Leitch gave the home side a 64th minute lead on Saturday but an injury time winner from Smart Osadolor prevent them from claiming all three points.